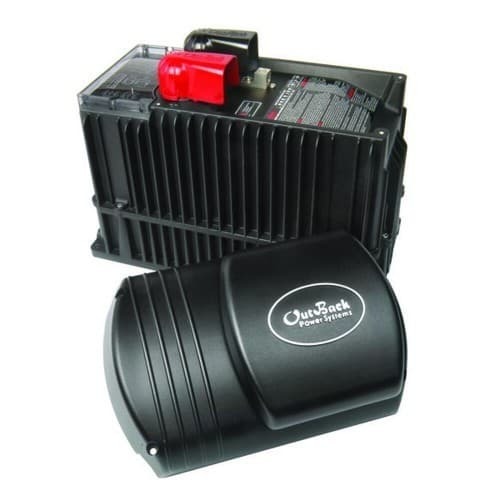 The OutBack Extreme Series Inverter/Charger is all that its name implies. Built from exceptionally rugged components not available in regular commercial off-the-shelf inverter/chargers, the water-resistant Extreme Series Inverter is designed to survive harsh environmental conditions including shock and vibration. The Extreme Series Inverter/Charger features intelligent battery charging and an integrated AC transfer relay with automatic neutral-ground switching for mobile applications. The mount anywhere design and silent operation, along with low-distortion pure sine wave power output, make them ideal for mobile electrical needs, and their ample surge capability can start multiple heavy loads simultaneously. Integrated building block architecture allows expanding a system from 2 to 36 kW, and user-defined settings allow systems operation at 120 VAC, 120/240 VAC or 120Y208 VAC three-phase by stacking multiple Extreme inverter/chargers together.